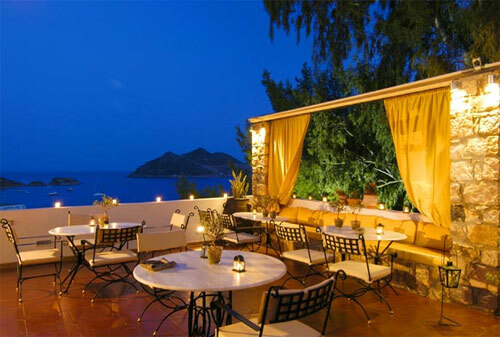 Among the Patmos hotels, Petra Hotel has differentiated itself as a charming Patmos island vacation spot, enchanting guests who expect the highest levels of hospitality and service from a small Greek islands boutique hotel. 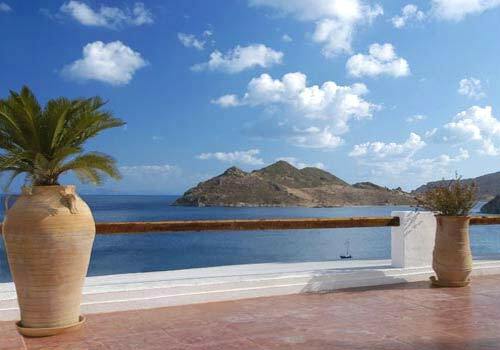 With just 12 rooms and suites forming a miniature village in traditional island architecture, the Petra Hotel has thrived in an atmosphere of personal attention and ease unprecedented on Patmos. 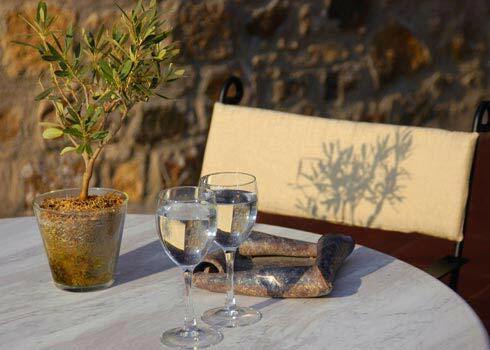 We welcome you to be immersed in the refined hospitality that elegantly combines the intimacy of a private residence and the mystique and beauty of the spiritual Patmos island. 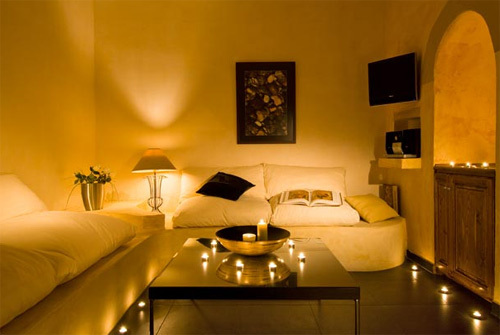 Other comfort amenities (like Honeymoon Suite and the Petra Suite offer a Jacuzzi). 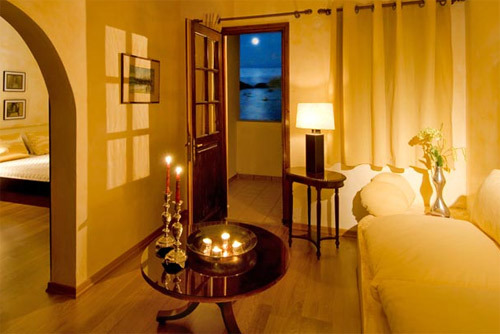 All rooms, with the exception of one standard double room offer a magnificent sea view of the Aegean and the scenic bay of Grikos. Hotel Services: bell boy service, beach towels, car rental service, daily maid service, fax transmittal, in-house laundry and pressing, private dining, room service, transfer service, travel desk, wine upon arrival, wedding planning. 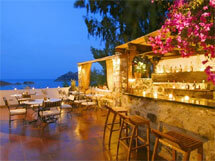 Outdoor restaurant, bar, lounge, TV room, outdoor cafe, reception desk, smoking and non-smoking areas are provided. 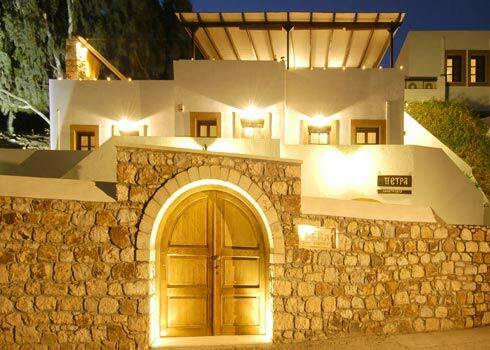 Our hotel is situated at a mere 200 feet from the Grikos Beach. 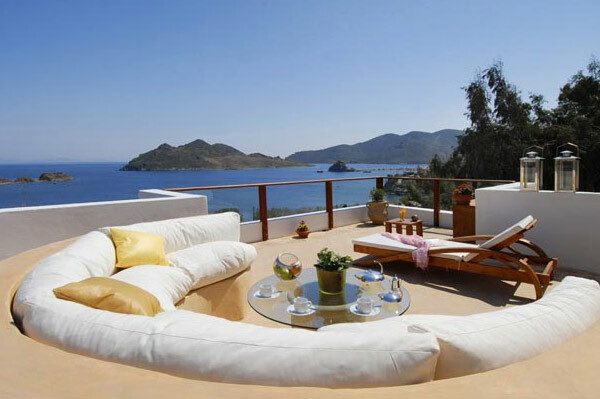 There may be more dramatic locales in the world, there may be more spectacular destinations around the globe, but few places on earth can match the extraordinary combination of features that draw people to the island of Patmos. Here is one of the best-kept secrets of international tourism: an island increasingly sought out by sophisticated travelers in search of a truly restful holiday. If there is a common theme to this island's attractions, it is that there is a sense of having arrived at a quiet and beautiful space, respected by all who come ashore. 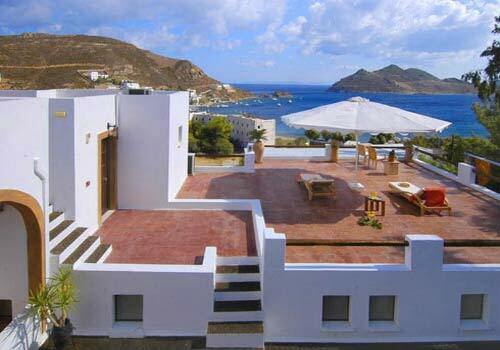 Whatever it is, Patmos has this special aura. Here, too, on one relatively small plot of land — only some 16 square miles — are two of the most resonant sites of early Christianity: the cave were St. John wrote the Book of Revelation, and the famous Monastery of St. John. Both sites provide for one of the most spiritual experiences in visitors' lifetimes, whether they share the Christian faith or not. The profoundly beautiful traditional settlement of Chora, a UNESCO World Heritage Site, invites you to wander in its narrow alleys, among white-washed houses and fabulous vistas.